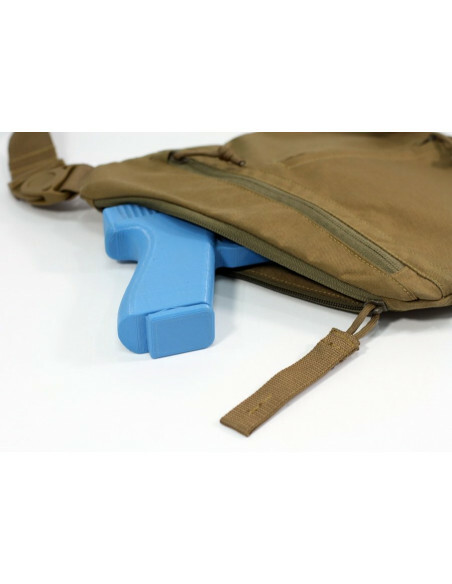 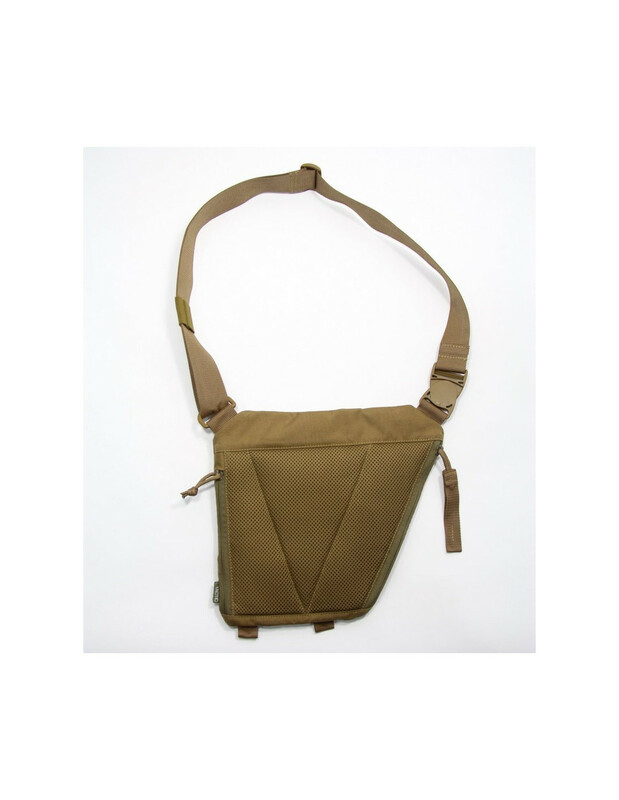 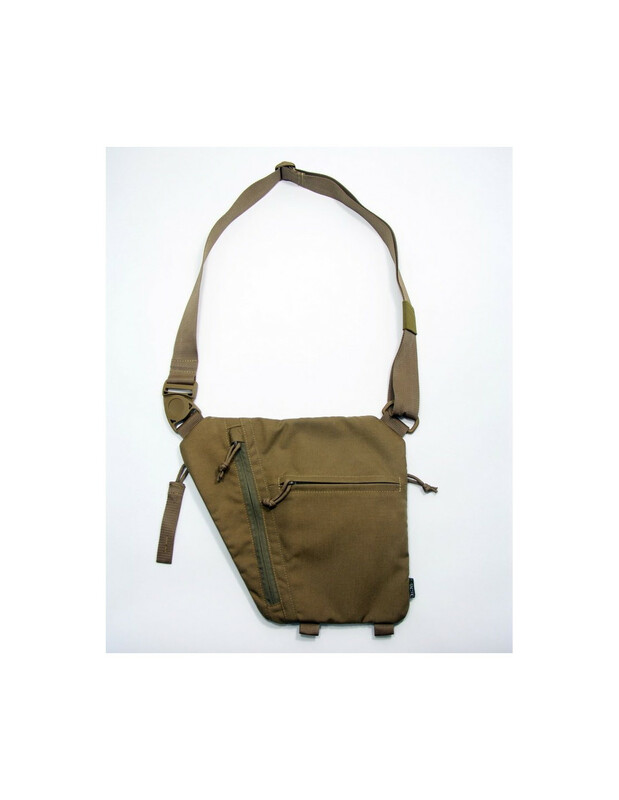 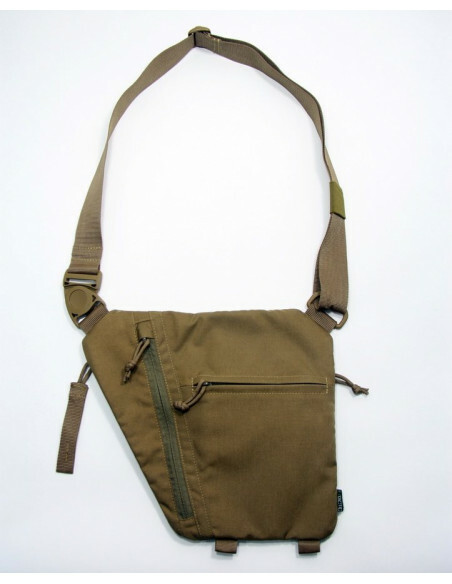 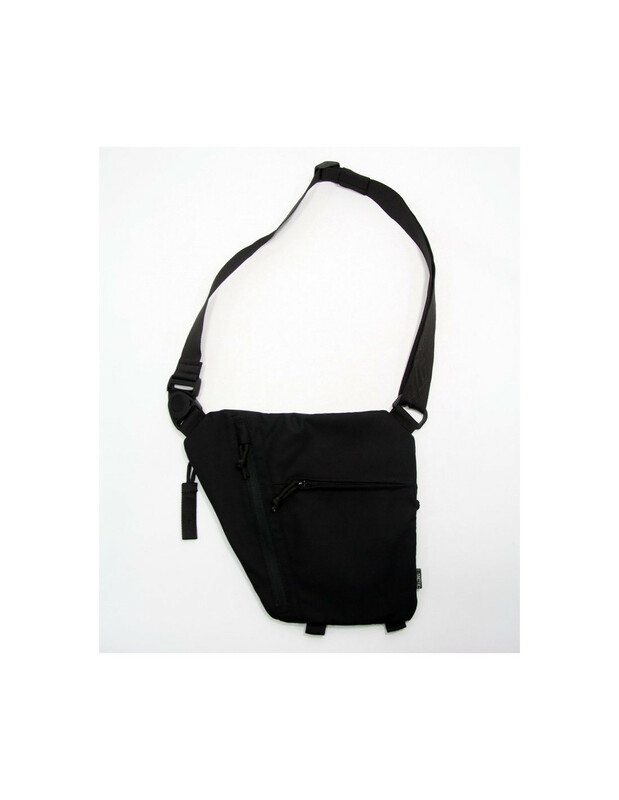 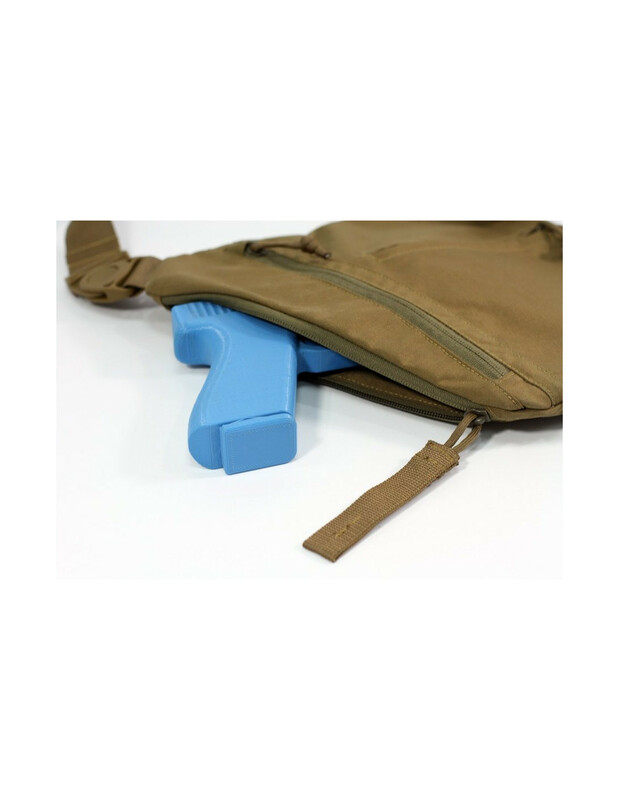 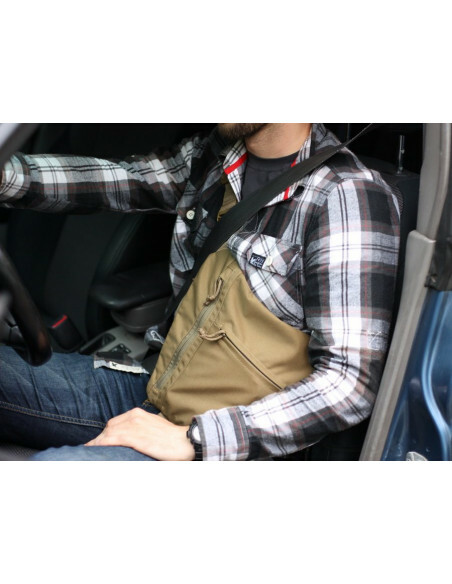 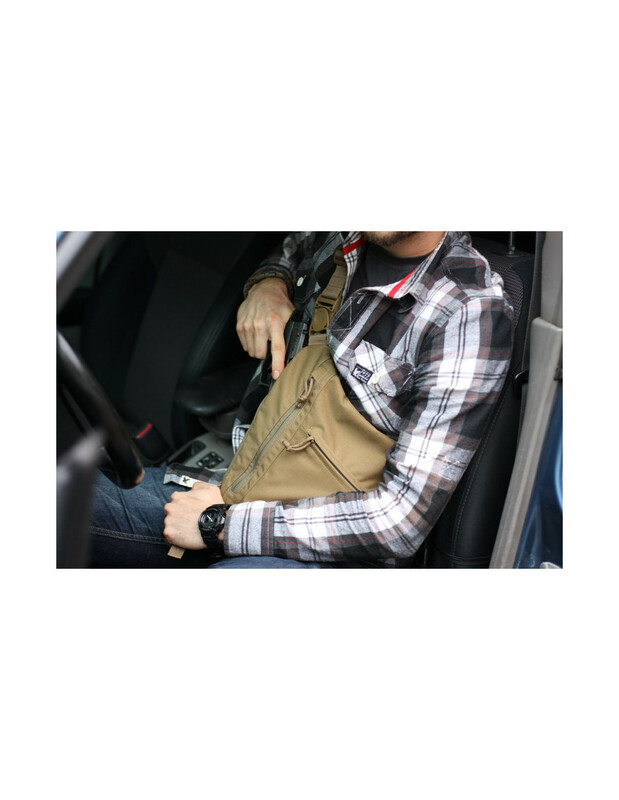 UTactic Under Arm Bag represents the new generation of bags for carrying a concealed weapon. 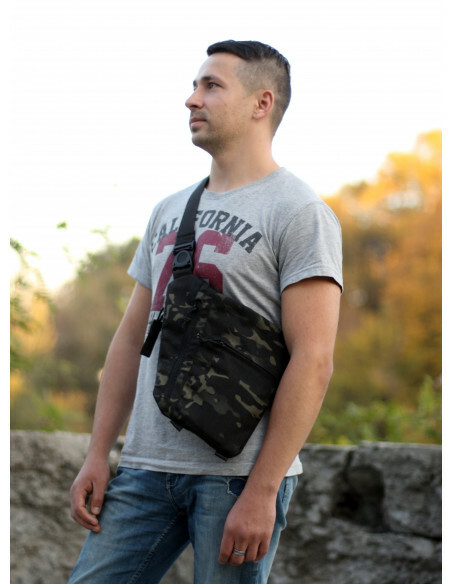 The main advantage is the non-standard form, which allows you to wear it in the usual style on the chest and under the arm. 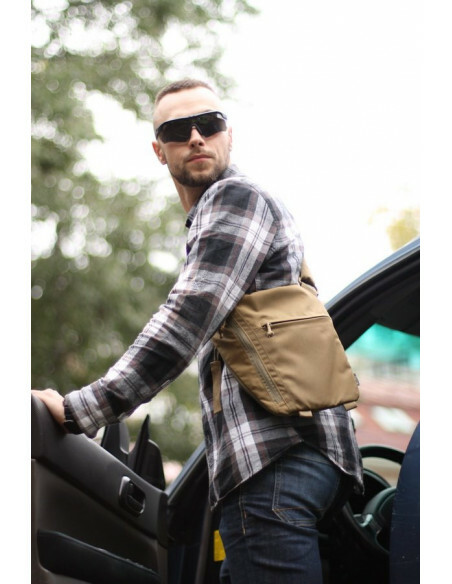 Thereby the movements are not hindered, the bag does not felt and is unnoticeable to strangers, either over the top of the shirt or the jacket. 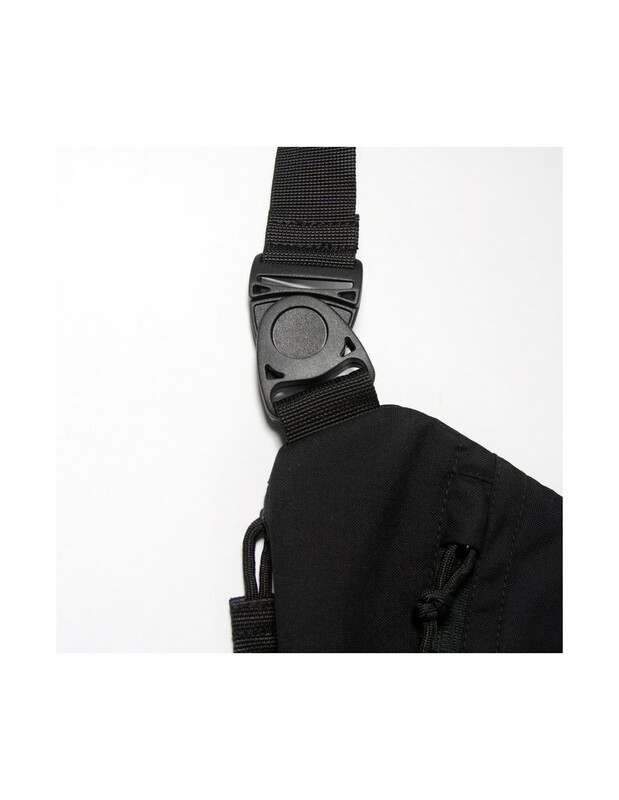 Fastex closure is placed on the shoulder strap for quick access. 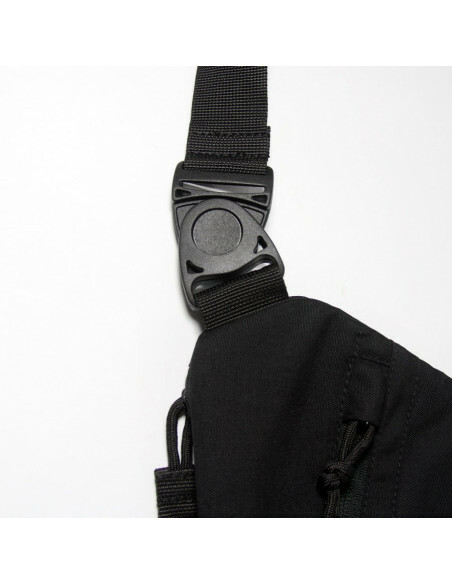 It allows to adjust the angle of the belt individually for each person. 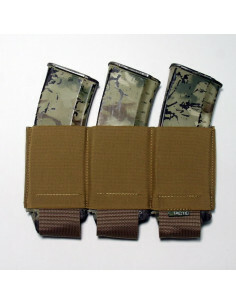 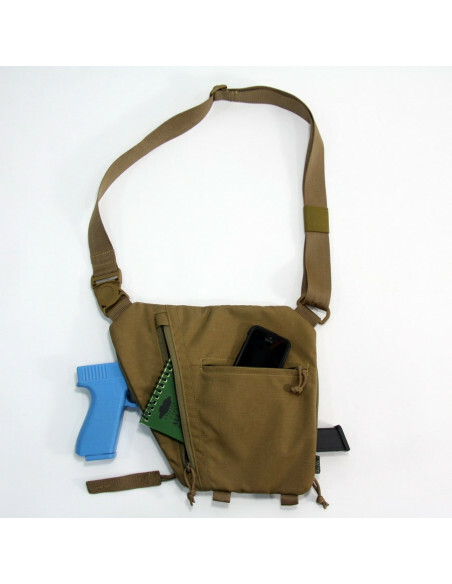 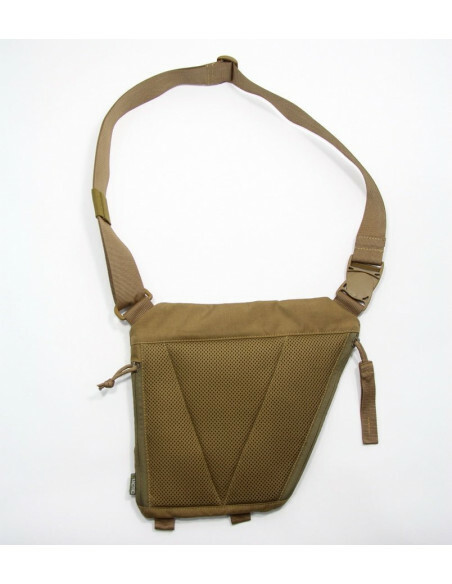 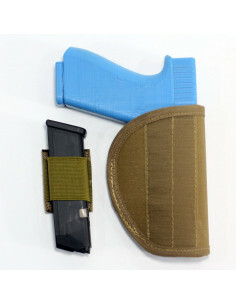 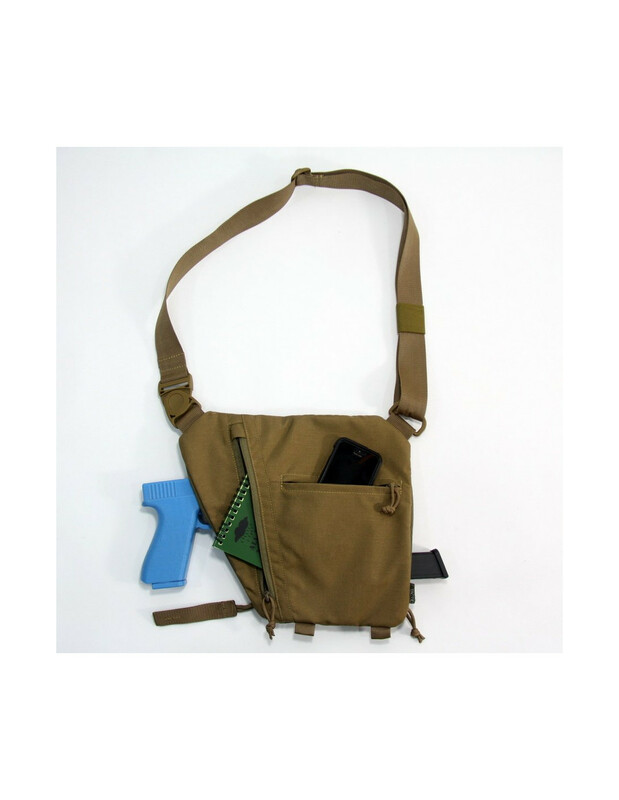 The main compartment of the bag has velcro panels on both sides for symmetrical fastening of UTactic Inside Holster, which makes it possible to find the right pistol grip. 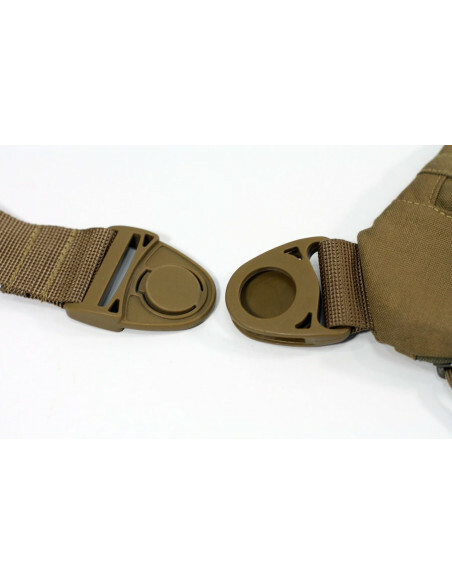 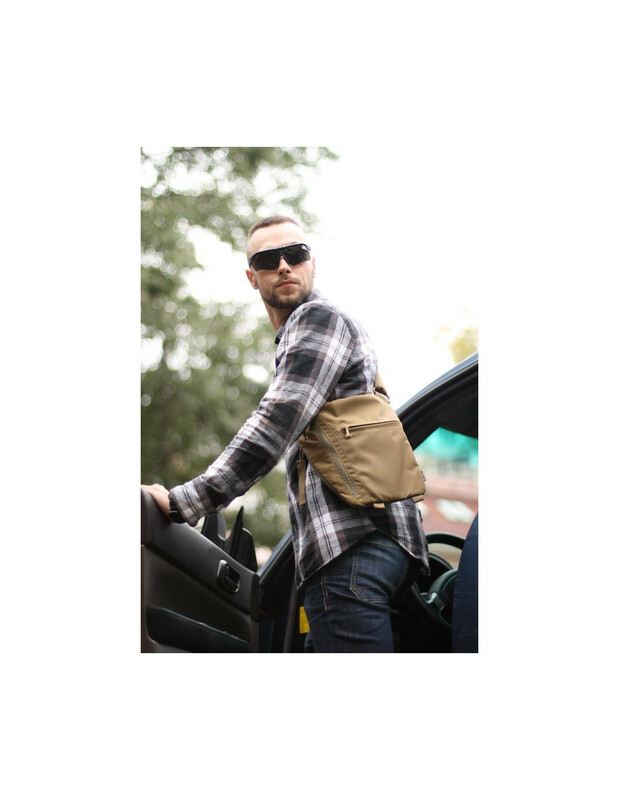 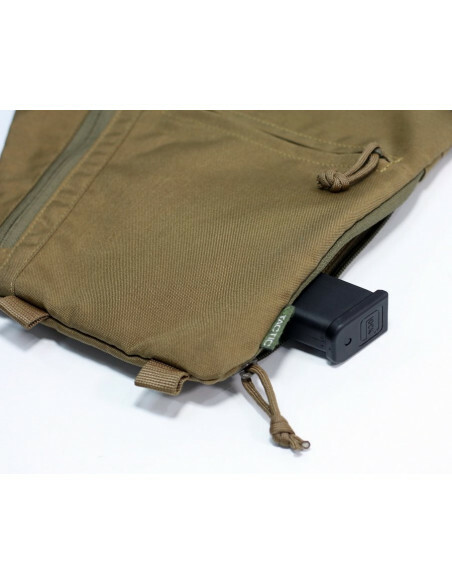 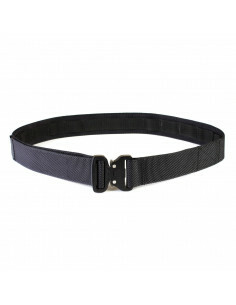 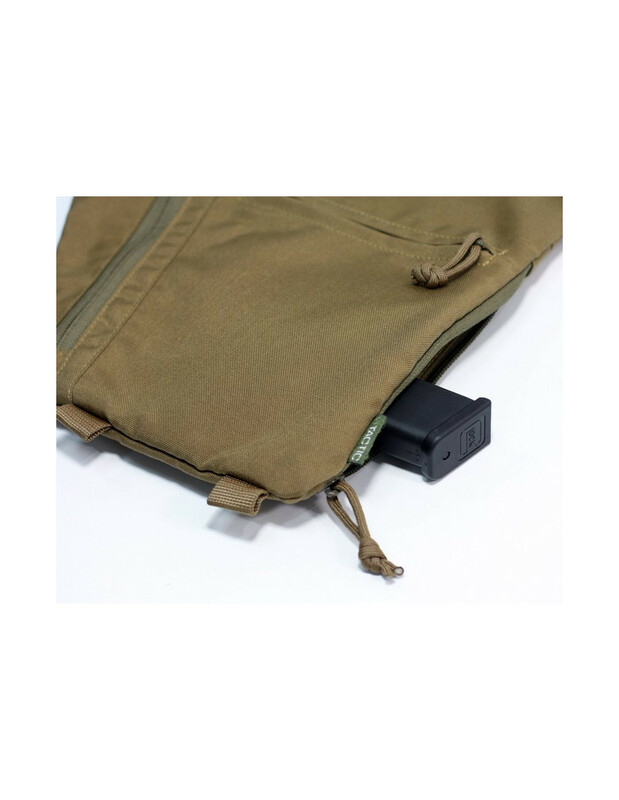 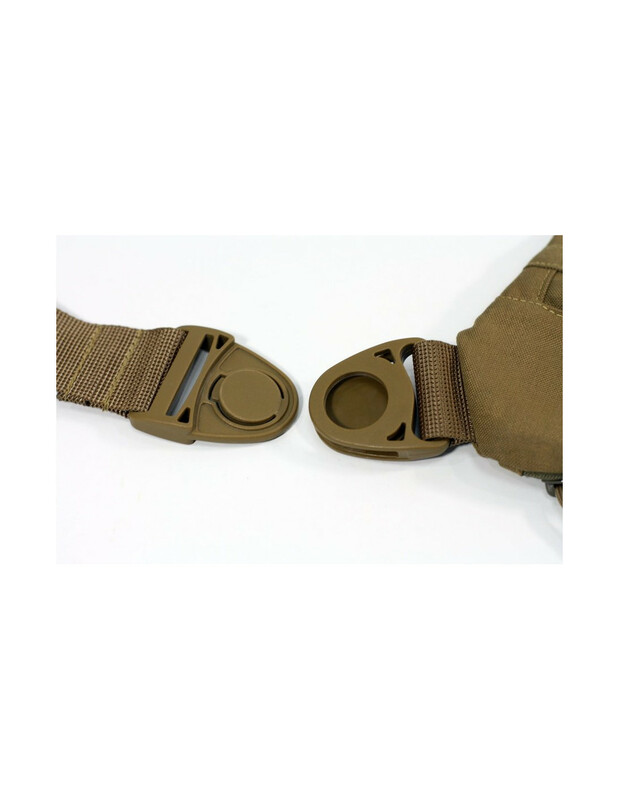 A specially extended long zip strap of the main pocket minimizes hands movements, making the possibility quickly remove the weapon in emergency situation. 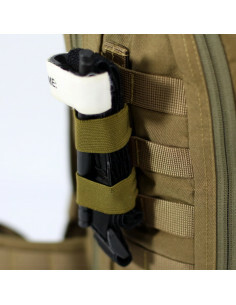 An additional entrance to the main compartment, located on the reverse side, gives an access to a spare magazine, eliminating unnecessary manipulations while replacing magazines. 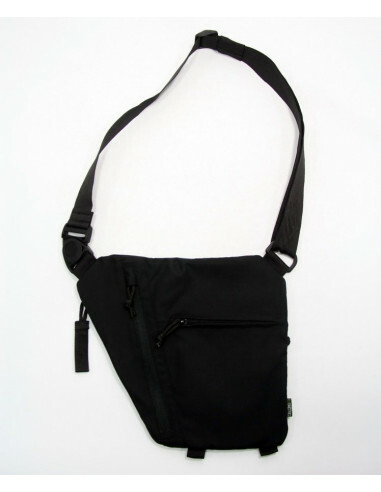 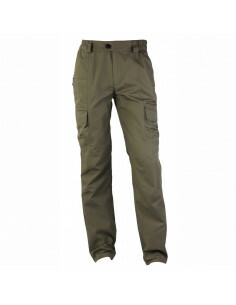 On the front side there are two additional pockets for carrying documents, a purse, a mobile phone and other necessary small items. 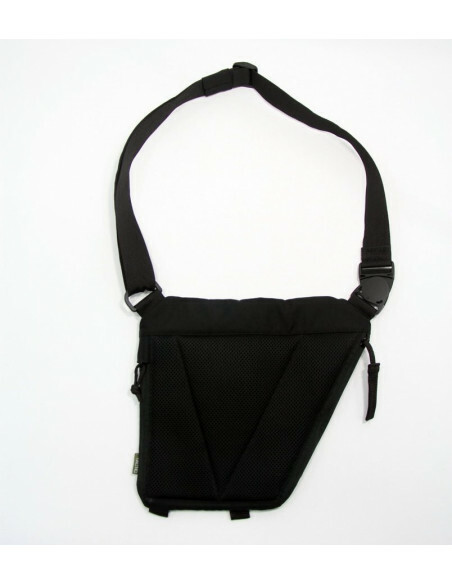 Dimensions – 30 x 26 x 2 sm.